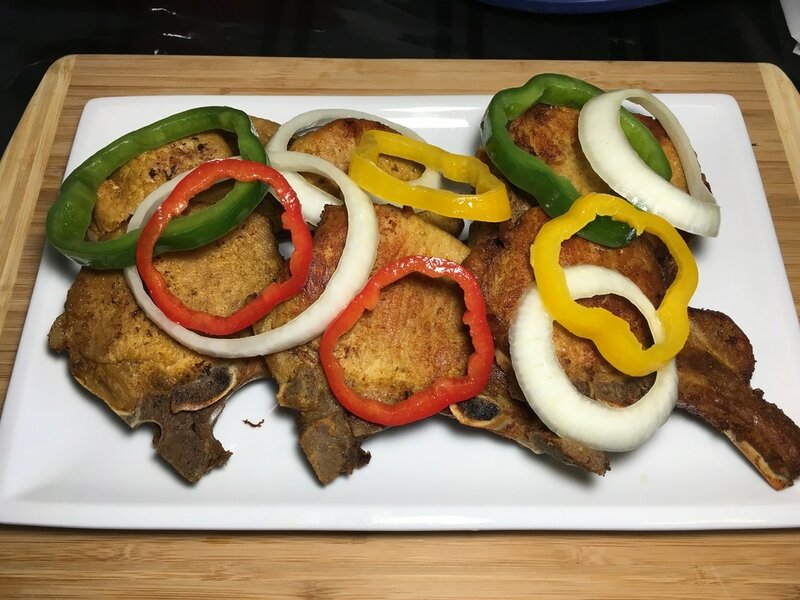 My mother and grandmother made this quite often, especially with fritay or with other meats and sauces. It was a quick substitute for pikliz but usually was not as spicy. This was more than just a "garnish" to make the dish look pretty. It was seasoned and flavored. 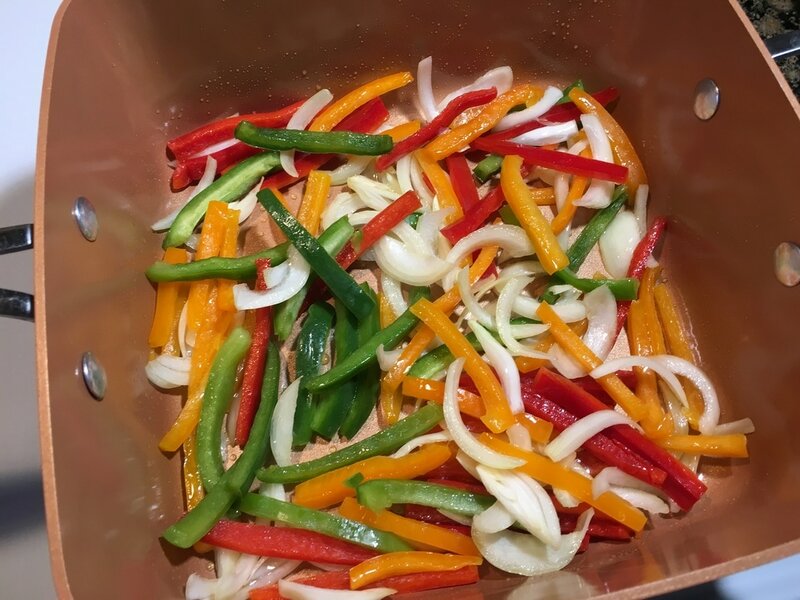 The peppers and onions alone tastes delicious and I usually find myself eating it straight, almost like a salad. It goes very well with fried meats/poultry or even fish. Try it on anything. I would say these resemble fajitas. They just have a different flavor and aren't cooked down as much. There are 2 ways of serving this. The first way is serving it straight after marinating. It will be raw but it will still be nice and crunchy (I prefer it this way, which is also the way my grandmother usually makes it). The second way is slightly sauteing it. It will cook down the vegetables just a little but it will still be crunchy, yet warm (the way my mother usually does it). I will show you both ways. ​2. 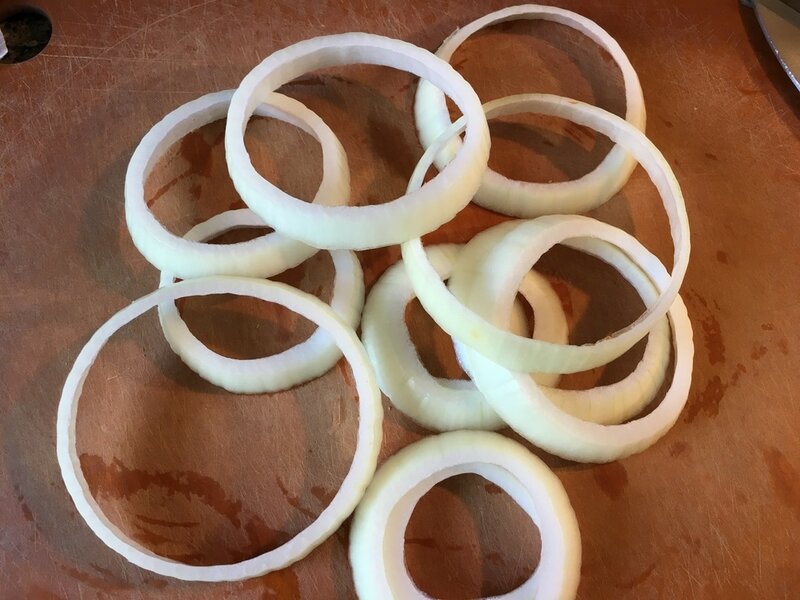 Peel and rinse an onion. 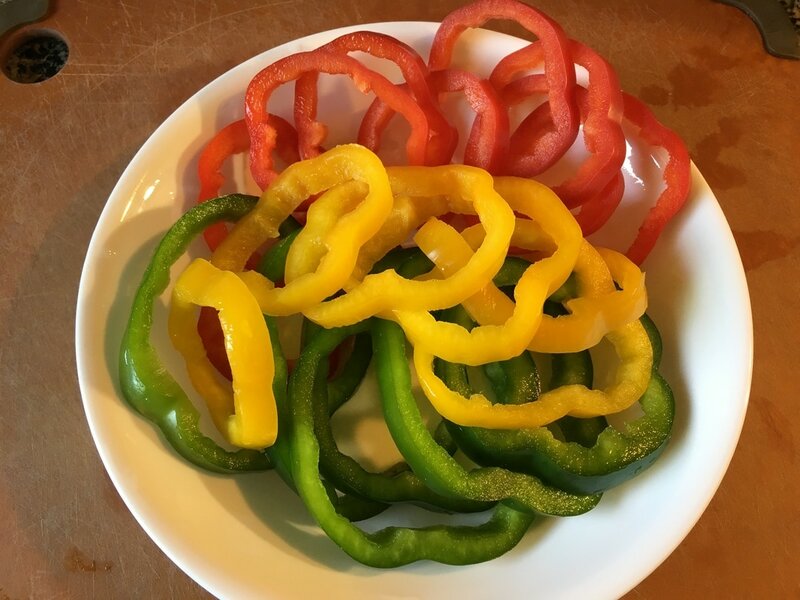 These can be cut into slices (as in the ingredients picture above) or rings (as pictured here). ​3. 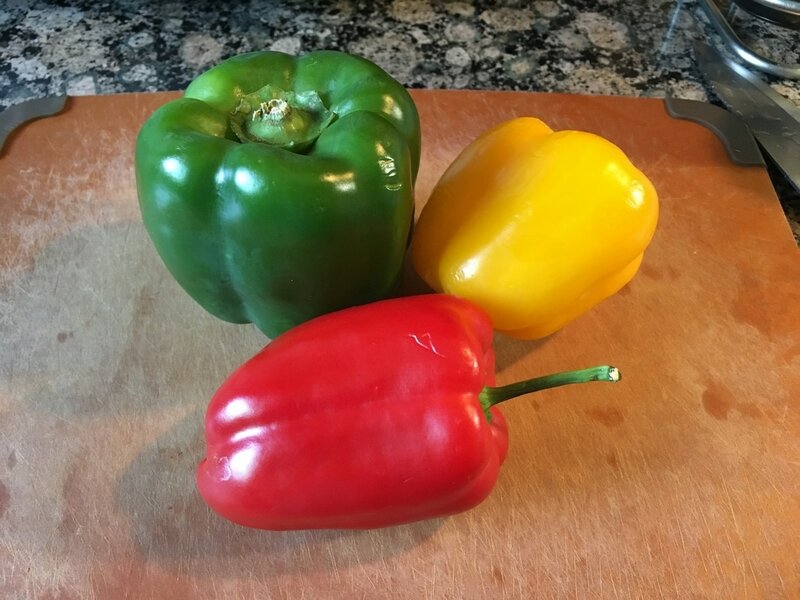 For the unheated, raw version, it is now simply a matter of combining all the remaining ingredients together, mixing well, and letting it marinate in the fridge for at least 30 minutes for the vegetables to absorb all the flavor. 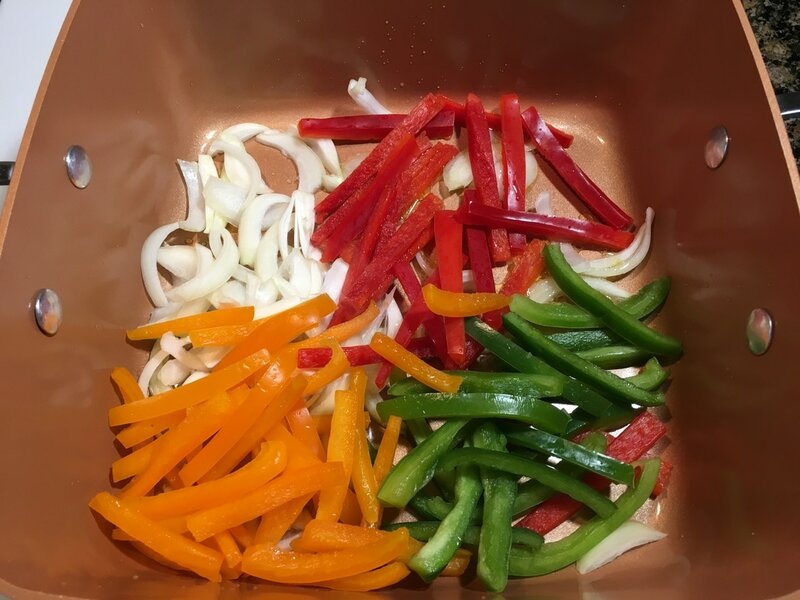 In a large bowl, combine the peppers, onions, 1 tbsp. fresh squeezed lime juice, ½ tsp. 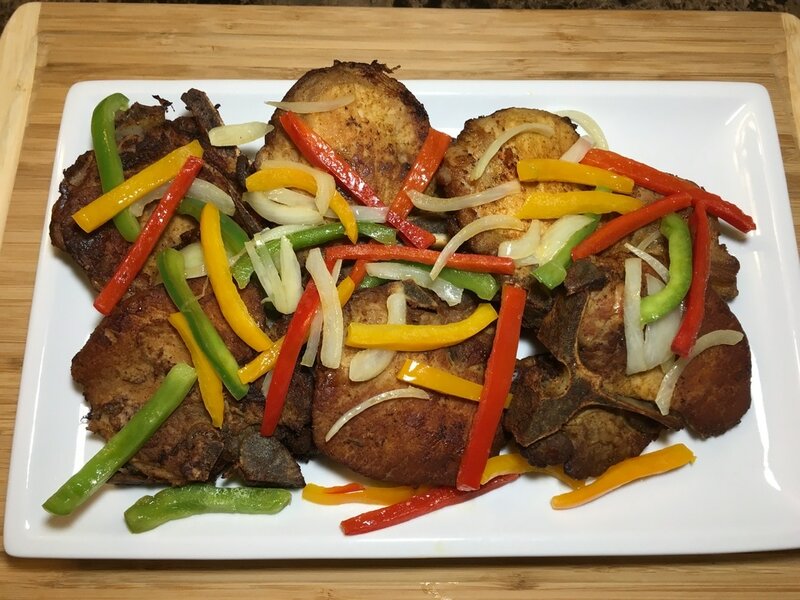 Adobo or more to taste, and 1 tbsp. olive oil. Add 1 – 2 tbsps. of the piman bouk liquid (more if you desire it to be more spicy). Sometimes, I like to add some of the vegetables in the piman bouk such as the carrots and shallots. They are pickled and extremely spicy so be careful. 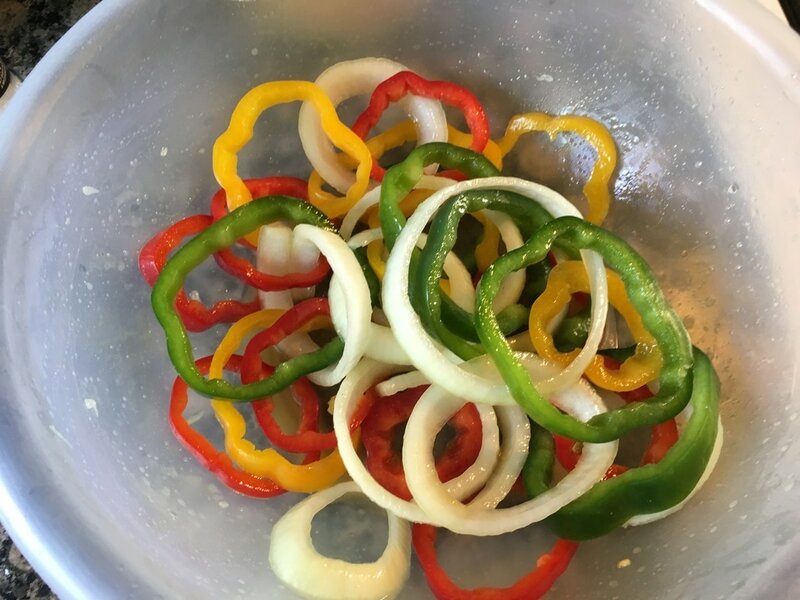 Slice them up into smaller pieces and mix well with the bell peppers and onions if you decide to do this. 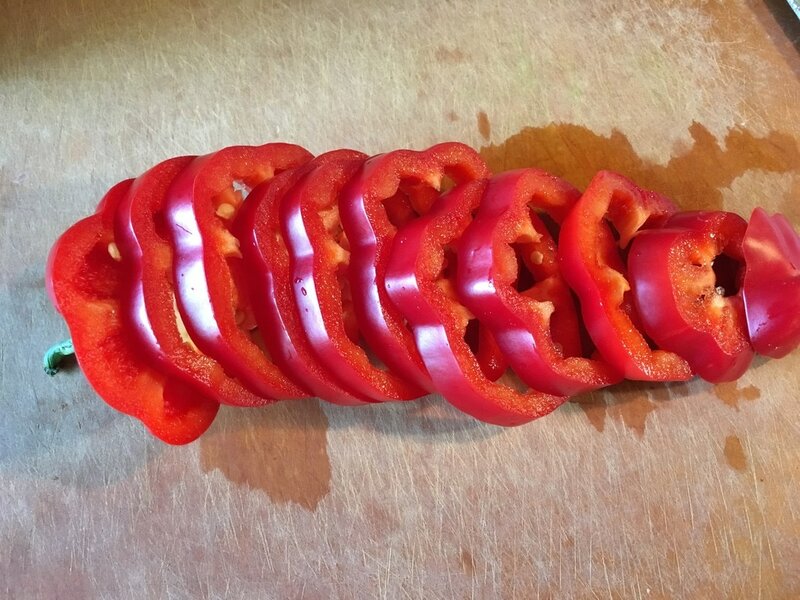 If you don’t have piman bouk, another option is to thinly slice 1 scotch bonnet or habanero pepper and add it directly. You will also have to use more lime juice in this case. Then, skip to step 6. 3. For the sautéed version, place 1 – 2 tbsps. 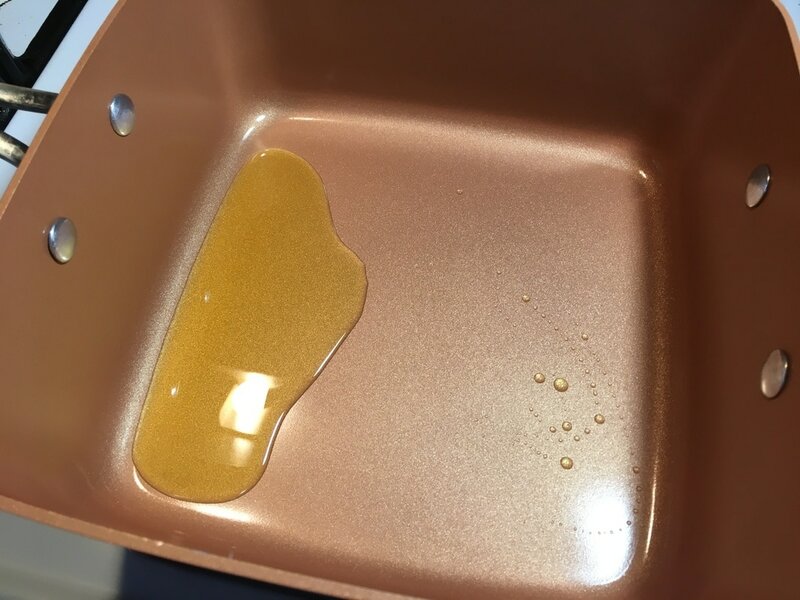 of olive oil in a pan on high heat. 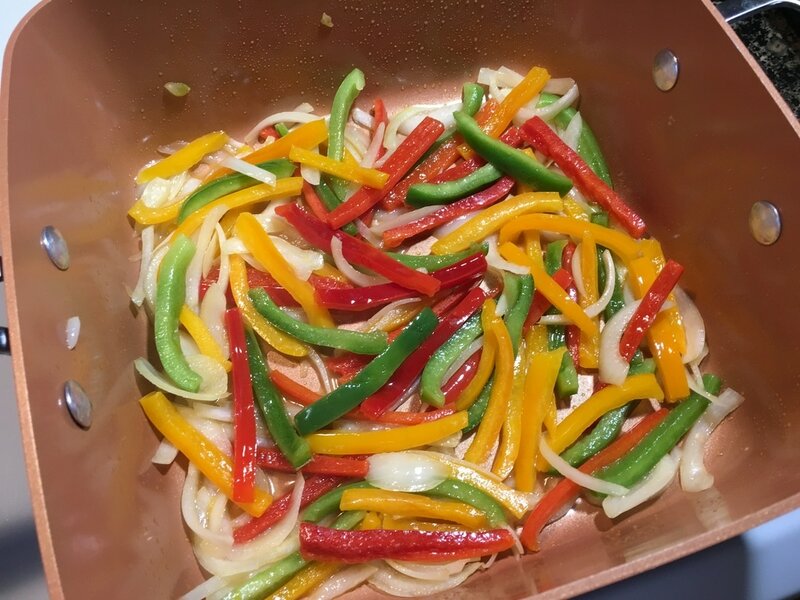 Once it reaches temperature, add in the bell peppers and onions. 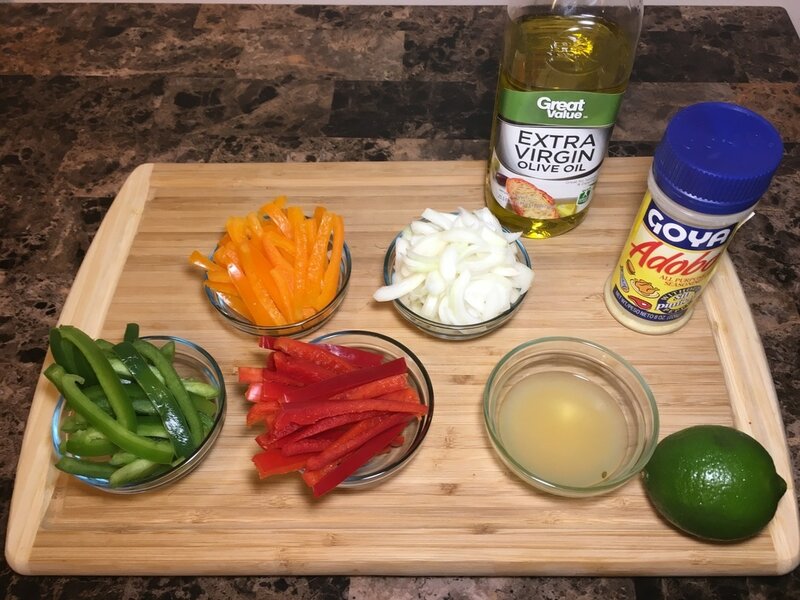 Mix the contents for a few seconds to sauté the vegetables. ​4. Add in the remaining ingredients: 1 tbsp. fresh squeezed lime juice, 1 – 2 tbsps. piman bouk liquid (or more if desired), and ½ tsp. 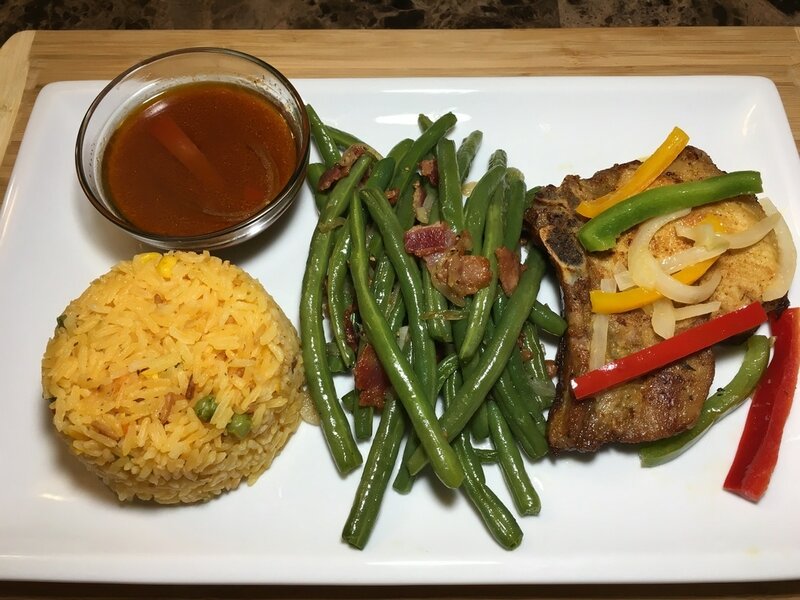 Adobo or to taste. Mix contents thoroughly. ​5. 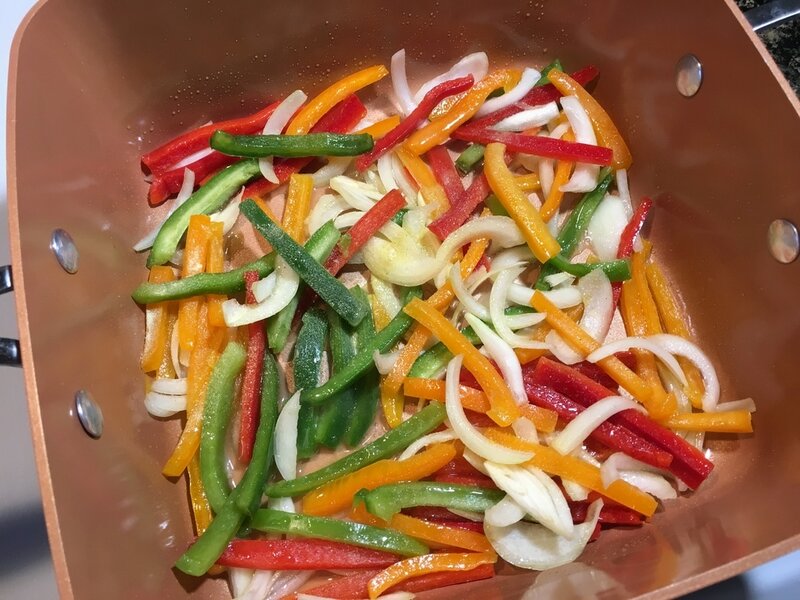 Sauté the vegetables for no more than 2 minutes on high heat. If you prefer them to be tender, you can sauté longer. However, I highly recommend them crunchy. 6. Serve as a garnishment or topping on anything of your choosing. What do you think of this recipe? What would you like to try this on?